As a global community, our ability to respond to the Ebola crisis gripping West Africa and to future crises will depend on how much we effectively learn from past interventions, and how best we adapt our practices to improve on coordination, mobilization, impact and long-term outcomes. When responding to crises and disasters of this magnitude, we can benefit tremendously from local, grassroots organizations and their ability to operate in complex environments, to aid in more timely assessments, and to quickly disseminate information and critical services in the wake of a global crisis. Due to the very nature of their proximity to a potential disaster, community-based organizations become the de facto first responders, witnessing the situation as it begins to emerge. Their knowledge on the ground can play a critical role in assessing the severity of the problem and more accurately projecting its impact. The first cases of Ebola in West Africa were reported back in September of 2013 and went through a lull before finally resurfacing in early 2014. We can ask ourselves what if, during that period, we had made use of on-the-ground reports by local organizations? Could we have come to learn earlier what we now know about the disease? Would epidemiologists have been able to better predict the capacity of health systems in the region to cope with this new Ebola virus? Could local groups have been able to warn others that the lack of local containment of the disease could pose a serious threat to attempts at intervention? Unfortunately, as has happened far too often in the past, by the time the world acknowledged the potential consequences of the current epidemic, it was already too late to avoid a completely overwhelmed and unprepared response lagging far behind the spread of the disease. 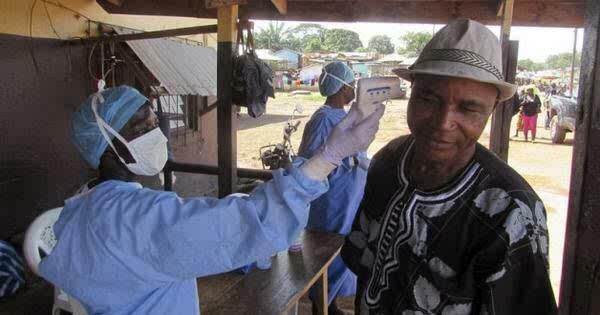 However, even at the current phase (with a recent CDC estimate suggesting that the virus could infect anywhere from 500,000 to 1.4 million people across the region over the coming months), identifying and empowering local groups as the foundation of intervention could have a significant impact on efforts to contain the spread of the Ebola virus. Organisations with strong local ties have long understood the importance of engaging with communities in a meaningful, equitable way. Liberians teaching Liberians. Guineans treating Guineans. Sierra Leoneans empowering Sierra Leoneans. In the case of our organisation, FACE Africa, our track record of community engagement in Rivercess County, Liberia allowed us to launch an Ebola awareness campaign far more quickly than a major international player would have been able to. The effectiveness of our campaign was enhanced by the local ties and level of deep-rooted trust we already had within communities. An international team parachuted in would likely not have received the same level of receptiveness from local communities (indeed, there have been numerous cases where health workers and response teams have been met with outright hostility). We only have to look at the catastrophic 7.0 magnitude earthquake that devastated Haiti in 2010 to understand the importance of local response and long-term planning. As the world’s attention was focused on Haiti after the earthquake, billions of dollars of emergency relief flooded into the country from international donors, supplies were mobilized and doctors and nurses were parachuted in to perform lifesaving medical procedures and care. UN soldiers were deployed to coordinate efforts and governments pledged billions to reconstruct the country so that it was “stronger and more prosperous than ever before”. Four years on, and Haiti is still reeling with nearly a million homeless, the worst cholera outbreak in recent history and an insecure future. We cannot allow the mistakes in Haiti to happen in Liberia, Sierra Leone and Guinea. As the world rushes in to help eradicate Ebola in West Africa, now is the time to start thinking beyond the current crisis. Now is the time to focus on ways to sustain our efforts and build infrastructure that will last long after the current crisis has subsided. Because in strengthening the infrastructure and capacity of these countries well into the future, we are not only limiting a potential recurrence, but we are tackling the myriad of other health problems from malaria, to diarrhea, to cholera and typhoid that continue to kill far more people every day. But any efforts at sustainable development cannot be achieved in the absence of local organisations and community groups. These groups must be at the forefront and lead any long-term development efforts. They must be recognized and supported because they represent the long-term health and strength of African communities; they have been on the ground, are currently on the ground and will still be there when everyone else has left. Authors: Saran Kaba Jones is the Founder & CEO of FACE Africa and a World Economic Forum Young Global Leader. David Norman is the Business Development Officer at FACE Africa.